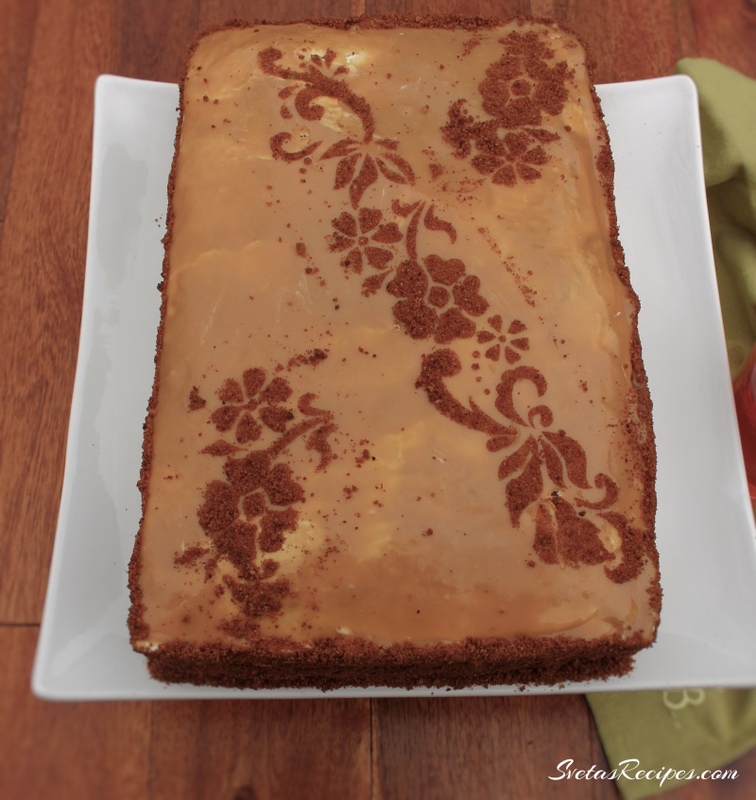 This is a very easy cake to make since you do not have to do any kneading or rolling. The best part is that it has very soft cream that melts in your mouth and taste just like the real deal. 1.) In a large bowl add your honey and eggs. In a separate bowl add your vinegar an baking soda. Add you’re baking soda mixture to your honey mixture. Also mix well and add your sifted flour. 2.) 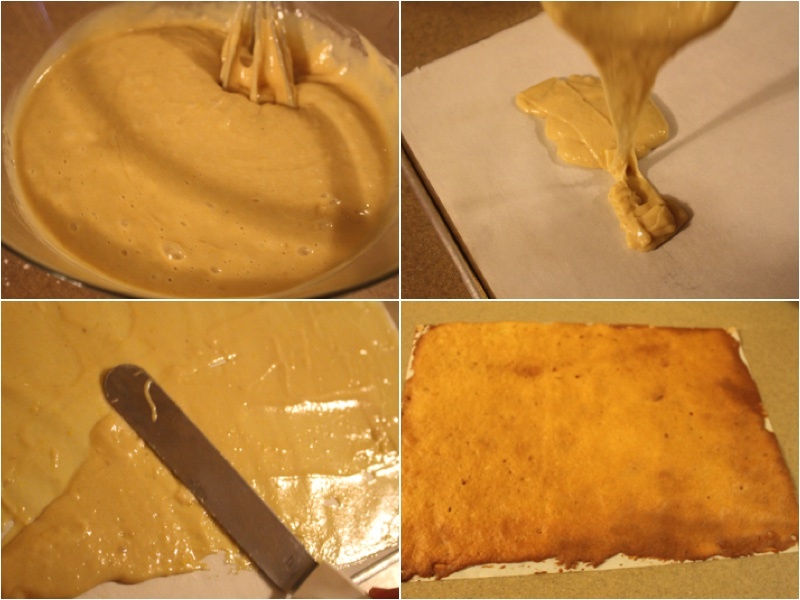 Mix well,flip you’re baking sheet upside down and add parchment paper. Using a spoon spread portions of your mixture onto your parchment paper. Bake in an oven on 375F for 5 minutes. Repeat this process 10 times to create your other layers. 3.) In a large bowl add your cool whip and your sour cream. 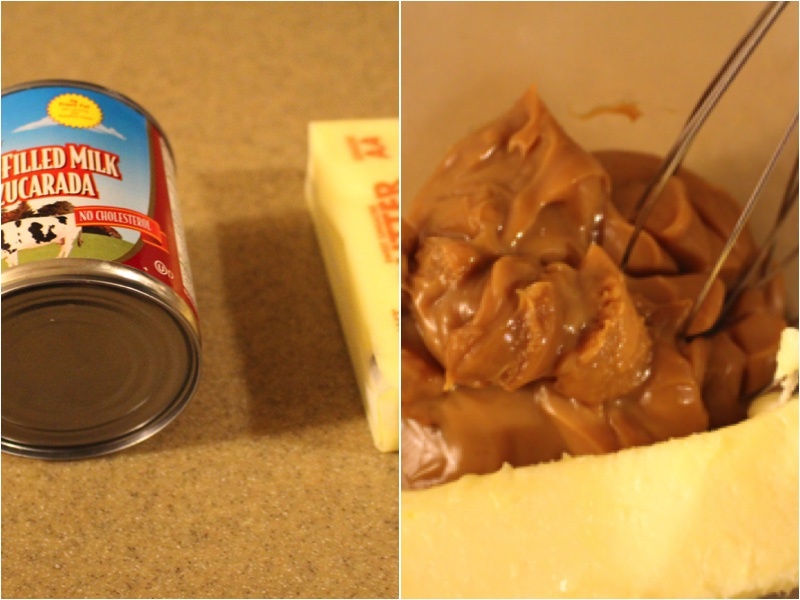 Add condensed milk and mix well. Peel away the parchment paper from all of your layers. 4.) 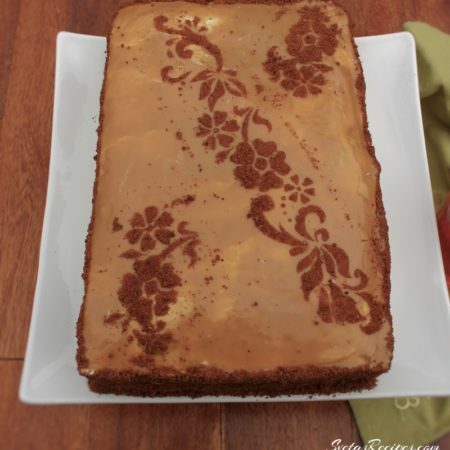 Add cream to all of your layers using a spatula and place them together. Using one of your layers crush it into a fine powder so you can add it to the side of your cake. 5.) In a large bowl add your butter and your cooked condensed milk. 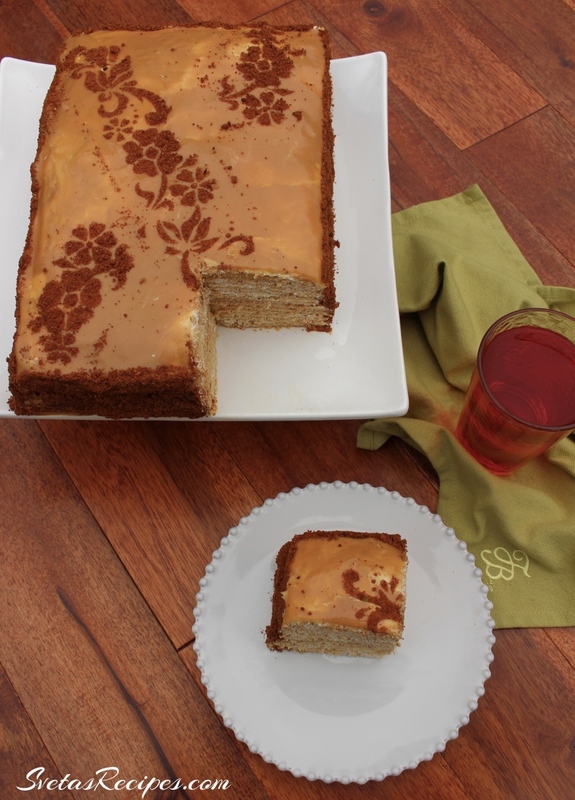 Mix well and apple your mixture to the top and sides of the cake. With your crushed powder cover the sides. (You can do the top if you’d like to.) Decorate, Place on a serving dish and enjoy. In a large bowl add your honey and eggs. 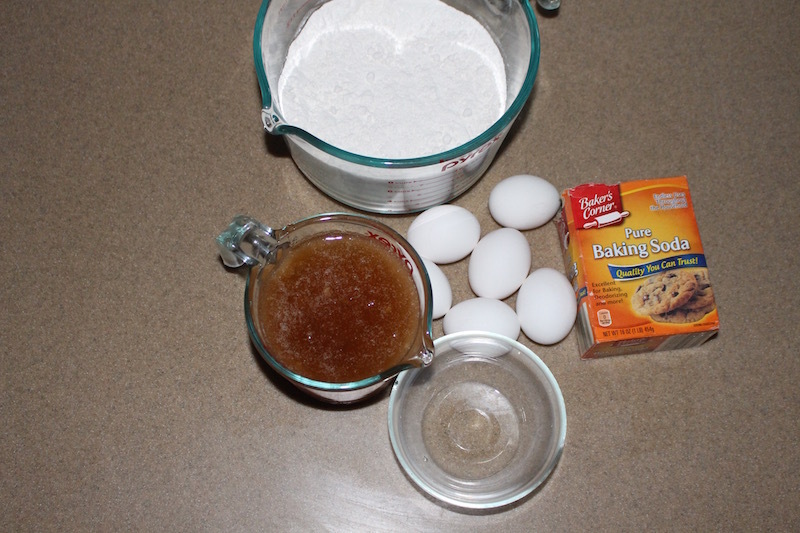 In a separate bowl add your vinegar an baking soda. Add you're baking soda mixture to your honey mixture. Also mix well and add your sifted flour. Mix well,flip you're baking sheet upside down and add parchment paper. Using a spoon spread portions of your mixture onto your parchment paper. Bake in an oven on 375F for 5 minutes. Repeat this process 10 times to create your other layers. In a large bowl add your cool whip and your sour cream. Add condensed milk and mix well. 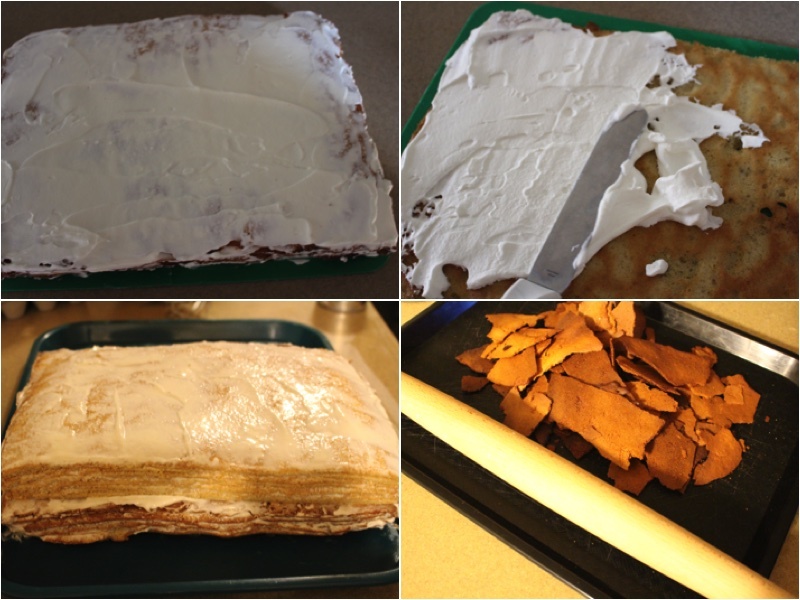 Peel away the parchment paper from all of your layers. 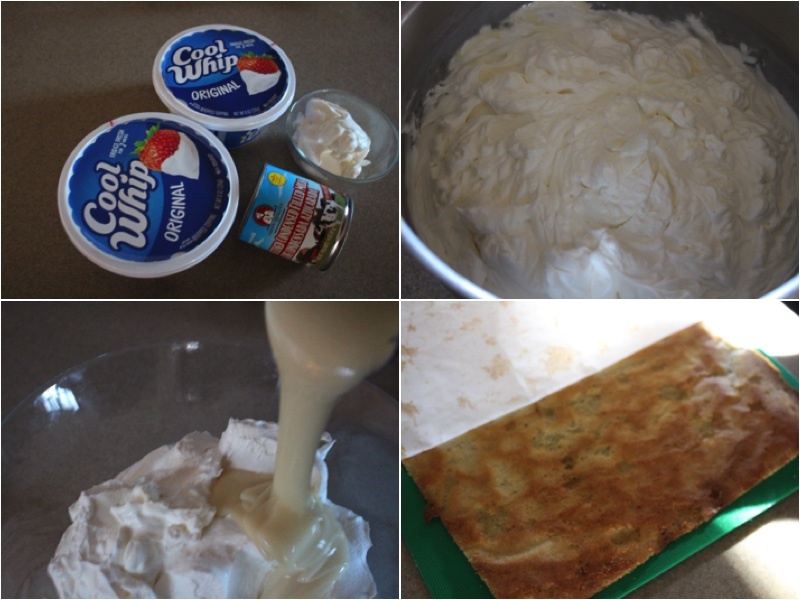 Add cream to all of your layers using a spatula and place them together. Using one of your layers crush it into a fine powder so you can add it to the side of your cake. In a large bowl add your butter and your cooked condensed milk. 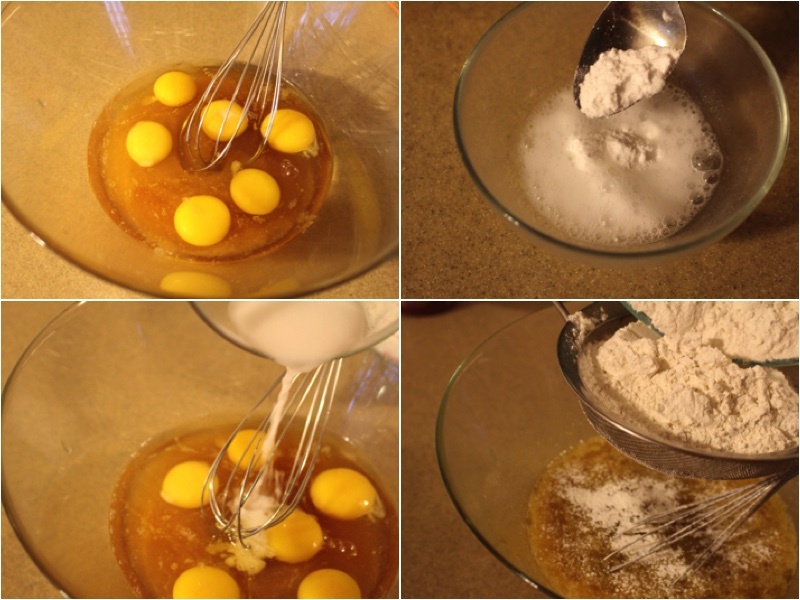 Mix well and apple your mixture to the top and sides of the cake. With your crushed powder cover the sides. (You can do the top if you'd like to.) Decorate, Place on a serving dish and enjoy.